This is a rhinestone silver dog paw with a small purple dog paw keychain. Show your love for your four-legged friend. 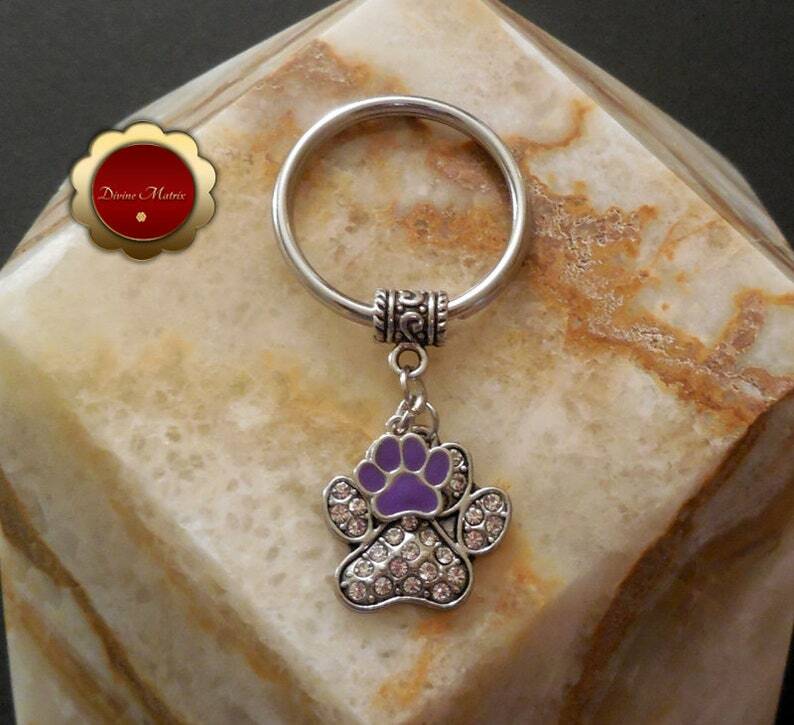 This keychain would make a nice gift for someone special. The key ring is a nice 32mm in size. Metal and glass. Nickel and lead free.